The IU South Bend Dental Hygiene clinic is open to the public. We offer preventive dental hygiene services to the population of Michiana at a reduced cost. Our services include dental prophylaxis (cleaning), non-surgical periodontal therapy (deep cleaning), periodontal assessments, oral cancer screenings, dental radiographs (x-rays), and dental sealants. Confused about all the dental terms? Read about each service we provide. Then click to learn more from other online sources. A dental prophylaxis is commonly known as a tooth cleaning. The dental hygienist is typically the person that cleans the teeth in the dental office. Here at IU South Bend, our dental hygiene students are supervised while providing all treatment by qualified dental hygiene faculty and dentists. Cleaning the teeth is vital to the health of the mouth. Calculus or 'tartar' builds up on the teeth causing a trap for more destructive plaque or what we in the profession like to call biofilm. This plaque houses bacteria among other items that are destructive to the teeth and the gums. It can build up both above the gumline and below the gumline. 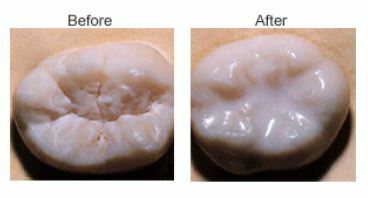 When the biofilm is allowed to build up below the gumline (due to not having professional cleanings every six months or sooner) it destroys the gum tissue attachment to the tooth causing inflammation and swelling. This condition is called gingivitis. If it is left untreated it can worsen and become periodontal disease. Periodontal disease requires a deep cleaning sometimes called Scaling and Root Planing or Non-surgical periodontal therapy. NSPT is required when plaque or dental biofilm is left untouched sitting below the gumline. The gum tissues fit around the teeth like a cuff of a pant leg. This 'pocket' is measured at each dental hygiene appointment. Healthy measurements range from 1-3mm. The bacteria as it ages migrates below the gumline where our toothbrush bristles cannot reach. Gases and acids are released as waste products from the bacteria and work to destroy the attachment of the gums to the tooth. When this happens the gums are destroyed and the bone is eventually destroyed. This is a slow process and requires professional treatment that a dental hygienist (or a supervised student clinician) is licensed to treat. When NSPT is performed the option of numbing the tissue is given to each patient. Because the body has signaled the alarm for inflammation to begin the gum tissue can become very tender and sensitive. Bleeding upon brushing and flossing is a sign of disease. Most patients feel more comfortable with local anesthesia. This is a time consuming process to undergo. Many times in private dental offices four appointments are necessary to complete treatment with costs over $1,000! Cancer of the head and neck is a scary thing. Our dental hygiene students check each and every patient for any abnormalities that could potentially be oral cancer. Each patient is also checked by a dental hygiene faculty member and/or a dentist. Early detection is key. Dental x-rays (radiographs) are vital to diagnosing oral conditions. The most common dental x-rays taken are bite-wings. These are used to detect cavities between the teeth that the eye cannot see. Bite-wings also show the bone levels, potential pathology (diseases), dental tartar among other things. Full-mouth x-rays are also utilized commonly in dentistry. These x-rays show the entire tooth from the root of the tooth anchored in the bone to the crown of the tooth that is visible in the mouth. Panoramic x-rays are another popular common survey taken. These are utilized to view large areas of the teeth and jaws. Many structures are visible on panoramic x-rays. There have been patients who have had their lives saved by a dental professional because blockages in the arteries of the neck were found on a panoramic x-ray. All dental professionals are trained to expose and interpret dental films. Dental sealants are a protective white plastic coating put on the biting surfaces of the teeth to protect them from cavities. Not all teeth can have sealants. The placement of sealants must be evaluated by a dentist to determine if decay is present.